Last Updated: 17 April 2019 - MilesLife may no longer be a thing. Please see my most recent post about MilesLife for context. Added a very brief mention to Qantas Frequent Flyer below. MilesLife currently have a few promotions going on. The primary one is one where you'll earn 100 miles pretty much instantly if you register through a specific link and check-in through the app (not Facebook). 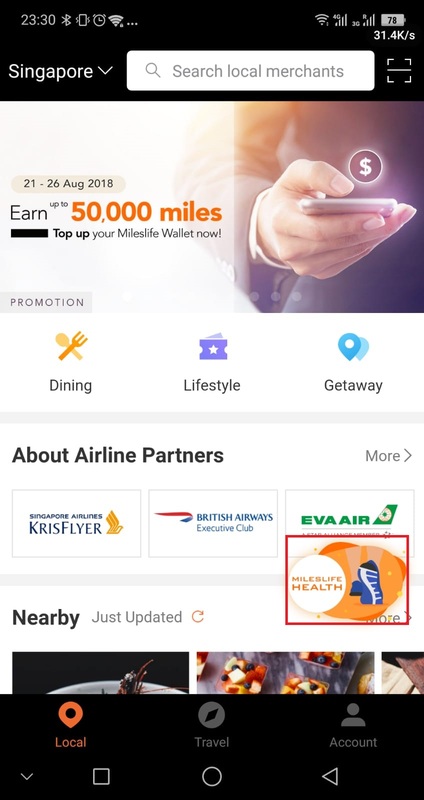 MilesLife is basically like FavePay/GrabPay, but instead of earning cashback or GrabRewards points, you're earning Frequent Flyer Miles. What type of miles? It depends on the program you're enrolled into within MilesLife. These points are earned in addition to points you'd ordinarily earn on your Credit Card expenditure. Disclaimer: This deal contains a referral bonus for signing up through my referral link. The amount of miles depends on which link you click through and your activity after registering. For those with an Indonesian(+62)/Malaysian(+60)/Singaporean(+65) phone number, sign up through here. You and I will earn 100 miles each. If you're one of my Australian readers, don't stop reading. However, any non-Singaporean/Indonesian/Malaysian readers will only be able to register through this link. Go straight to the "Check-in Bonus" section of this post for the only part that is likely to be of relevance to you. Deal Rating: 6/10 - it's a very easy, low effort deal that earns you miles. Miles are fun. Even non-frugal people find miles exciting - because they're "free flights", so it's a "versatile" deal in that way. However, the value of the miles you're going to earn from this? Not very high. 100 miles is objectively not much, but it's pretty easy to take advantage of this deal! Complete the steps above by 26 August(extended) 30 September 2018, which is when this promotion is ending. Open MilesLife. 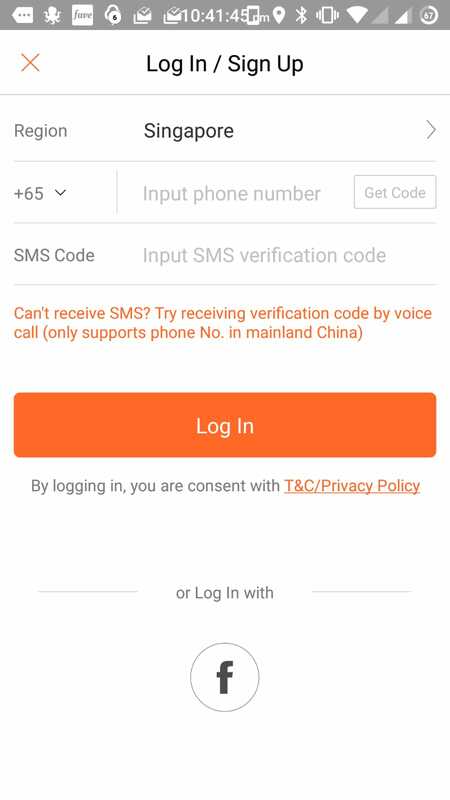 Enter your phone number in, and tap "Get Code" (on the right) to get a SMS verification code. Enter this in just below the phone number. You'll be asked for your email address and name, and the referral code will be autofilled, assuming you've clicked from the link above. You'll then be asked to add your Frequent Flyer Membership. You don't need to add it now, but that's the point of this deal right? So.. add the one you wish to add, so make sure you've got your Freqent Flyer Membership number handy. The screen prompting you to add your Frequent Flyer membership. You don't have to do it now, but you're here to get miles right? Next is a payment method, which you do not need to add now. Tap "Maybe Later". Go to "Account", and then tap "Check-in Bonus". In the middle of the screen, tap the orange "Check-In" button below the calendar view. A pop-up will appear saying, "Congratulations! You have won 100 Miles"
Done. 100 miles for that. Remember to repeat this everyday. After 7 consecutive days of checking in, you get between 10-200 miles. I'll talk a little bit more about the check-in feature below. This is a one-off, and cannot be repeated. There are actually 2 additional promotions as part of this, which can earn you an additional 900 Miles. These are valid from one month from the time of registering. Although Indonesian and Malaysian numbers are allowed to participate in this promotion, this deal is only relevant for usage in Singapore as MilesLife, at present, has no presence in Indonesia/Malaysia. There is a feature within the Mileslife app that lets you get a "check-in bonus" for when you check-in on 7 consecutive days. Using the check-in bonus allows you to earn up to 200 miles in the program of your choosing. For Australians, this is actually an indirect way for you to earn Virgin Australia's Velocity points. Again, I wish to remind you that the miles you earn is of very little value. However, it's free and it does not take much effort. The steps for this are actually identical to the 100 miles deal above, except for step 1, you'll have to register from a different link. 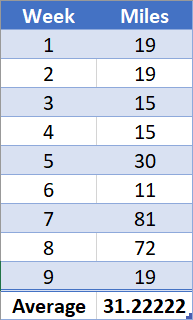 Here's my record so far from 9 weeks of checking in. As you can see, getting 200 miles is pretty rare. Update: As at 17 April 2019, the check-in feature has been "temporarily suspended". Furthermore, I wish to add that the average # of miles I have been getting from this check-in has plummeted from the 31 mile average to approximately 5-6 miles per week. As I said above, it's not much, but hey, if you consider as an average that it's $1 = 1 mile/point, getting 80 miles per week "free" is 80 miles that you otherwise would've had to have spent $80 for. Well, that's one way to put it..! Ok, again, barely anything. But using my logic above, 8 miles would've otherwise only been able to be accrued from $8 spend! On the main MilesLife screen (under "Local"), there's a little icon in the bottom right corner, just above "Account". It says, "MILESLIFE HEALTH". This feature allows you to "trade in" your steps for miles. Sounds cool? Yea, it sorta is. Again, more free miles. I haven't figured out if you can link this to a fitness tracker, but given the steps are taken from Google Fit, I presume as long as you have a fitness tracker connected to Google Fit, you're basically counting all steps while wearing your fitness tracker. If you're a frequent MilesLife user, either of these promotions could be quite attractive. You're basically putting money in your account upfront to get a fixed amount of miles, in addition to the miles you'd get for spending at merchants through the MilesLife program anyway. Notice it says, "up to 50,000 miles"? You actually earn miles for every top up you make, up to a total of 50,000 Miles. Mind you, it'd require a $20k top up to get that amount of miles. 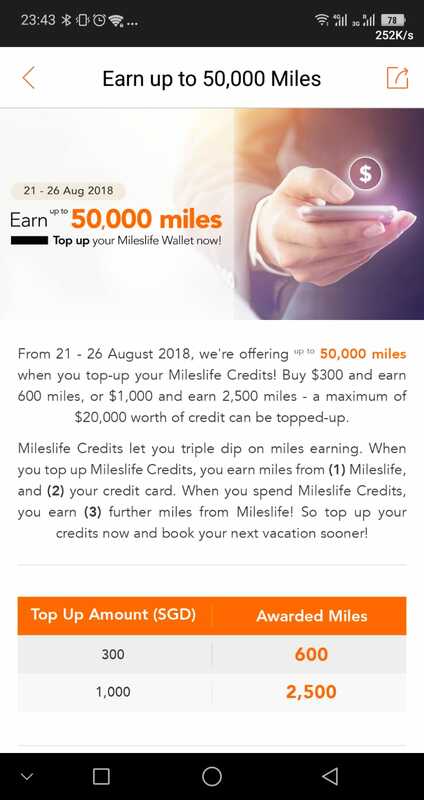 Funnily enough, clause #2 is "Each MilesLife user can only top up a maximum S$20,000 Mileslife Credits during campaign period." I don't see why you'd top up any more than that, given that there's no inecntive to anyway...! I definitely won't be topping up. I say this because the market is competitive, and I know that I'll be using FavePay and GrabPay just as often, if not more. Furthermore, MilesLife is not a digital wallet like GrabPay - you are not required to have a balance in your account to be able to make purchases. Bit of a long one and I apologise. Bit of detail to get through in this one! Anyway, keep an eye out for MilesLife promos. I've been paying attention to them and they do have some decent promos. MilesLife seem to be a little more upper class. Merchants that accept MilesLife almost always accept FavePay and GrabPay, and the earn rate is often no more than 3 miles per dollar. Personally, I'd rather get 10% cashback through FavePay than 3 miles per dollar. Again, it always comes back to how you value a mile, so you'll have to do your own calculations! Also - side comment. If you live overseas, but have access to a +65/+60/+62 number, you can probably still take advantage of the instant 100 miles deal. Just keep in mind that if you log out of your phone, or if you change phones, you can only login to MilesLife by entering a SMS verification code to your registered number. Keep this in mind if you're intending to borrow a friend's phone to take advantage of this deal! Dec 16 MilesLife - 12 Days of Christmas - Free Miles & Top Ups! Apr 16 [Asia] 迈生活 MilesLife on the verge of death?